Businesses of all sizes are now turning to the cloud for their software and hardware solutions, as well as for data storage. When you use the cloud, everything your business needs to run is held by another company and is instantly accessible to you over the Internet. This provides benefits ranging from greater mobility to improving your capability to grow. If your employees ever need to access files when they’re away from the office or they work with a number of different devices, the cloud is the way to go. With cloud data storage, you can reach information wherever you are. Plus, since the data is encrypted, there are no security concerns. It’s expensive to constantly purchase new versions of software for each of your employees — not to mention a hassle. With the cloud, you can receive software as a service (SaaS). This means that your applications will be hosted by your service provider and everyone on your team will have access to the software with any device. Better still, whenever there’s an update to the application, you will automatically receive access to the latest version. You can move all types of software to the cloud, including applications for email, virus protection, and spam filtering. Small and midsize businesses often need to increase their resources to grow their operations, but hardware like physical servers can be prohibitively expensive. Another aspect of the cloud is hardware as a service (HaaS). This allows you to scale your resources to just what you need and can afford. The same applies to storage for files. With the cloud, there’s no need to have a huge storage capacity within your network — you can pay for the amount of cloud storage you need and update your subscription whenever those needs change. To be sure that your data will be secure, you need a reputable cloud service. Edmonton business owners rely on Alt-Tech. 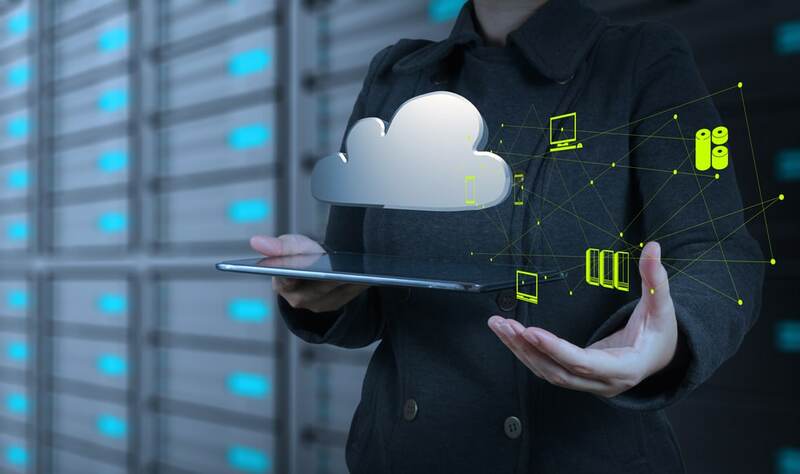 We offer a variety of cloud services, including email, application, and server hosting, as well as disaster recovery and business continuity offsite hosting.